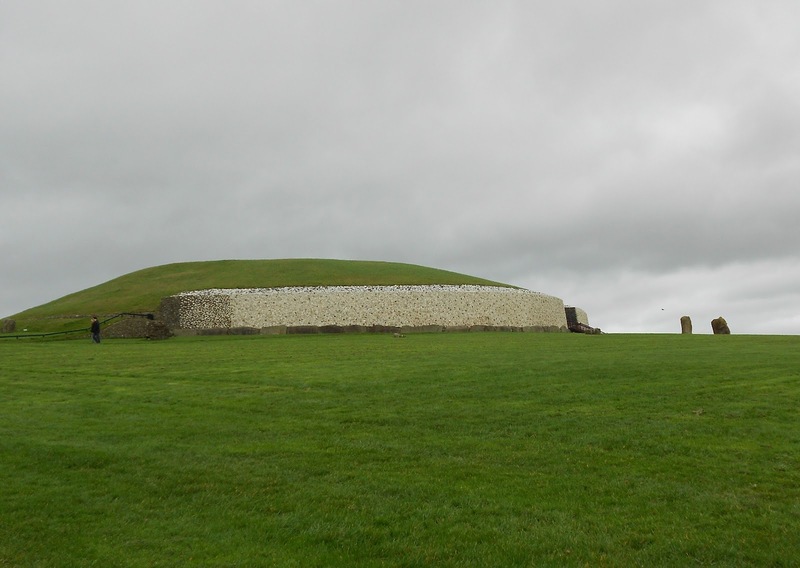 One of my most inspiring moments during my recent trip to Dublin occurred at Newgrange in the Boyne Valley. Mum had been disappointed to miss this last time she visited, so this was on the ‘must do’ list for our soujourn in the Emerald Isle. It was awesome – and I mean that in the original sense of the word. 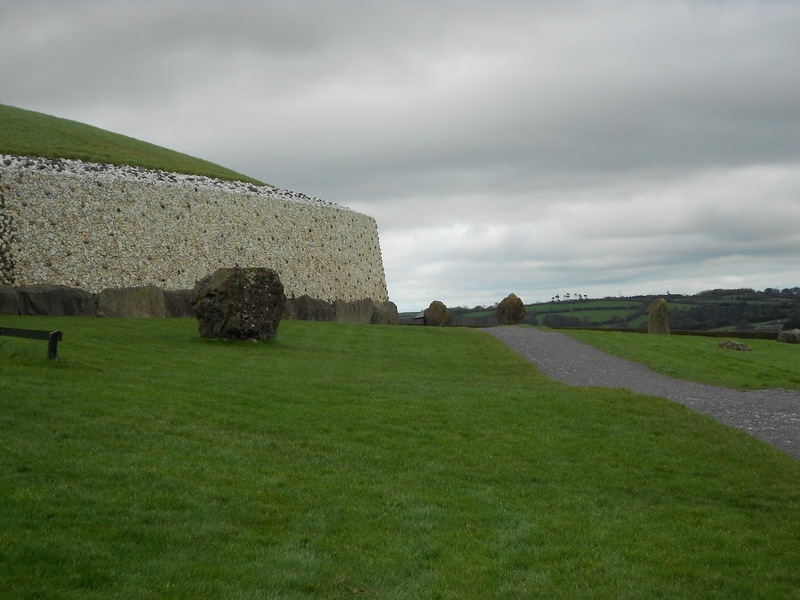 Newgrange is a 45 minute drive north of Dublin and is part of a complex of 40 passage tombs located in the Boyne Valley. 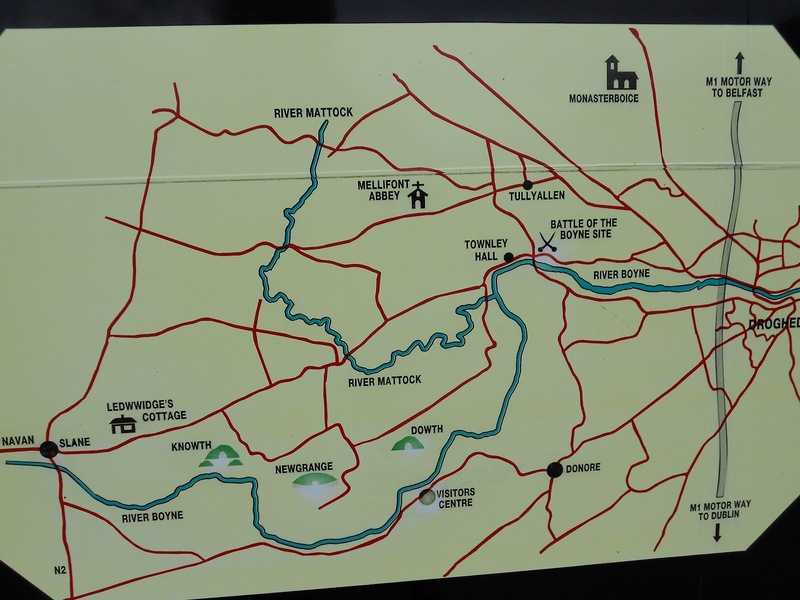 It was built approximately 5,000 years ago, pre-dating the Great Pyramids of Giza and, along with neighbouring passage tombs Knowth and Dowth, has been designated a World Heritage Site by UNESCO. 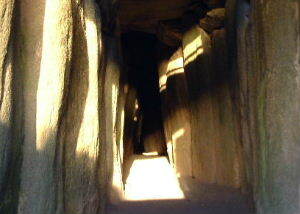 Most famously, Newgrange is recognised for its importance in relation to the Winter Solstice. On the 21st December each year, the rising sun sends shafts of light through the roofbox above the main entrance, the light creeping forward in a point shaped by the walls of the passage to illuminate the sacred chamber at the end before receding for another year. Even more fascinating is that this ritual is mirrored at Dowth at sunset on the same day. It is difficult to imagine just how these were built. 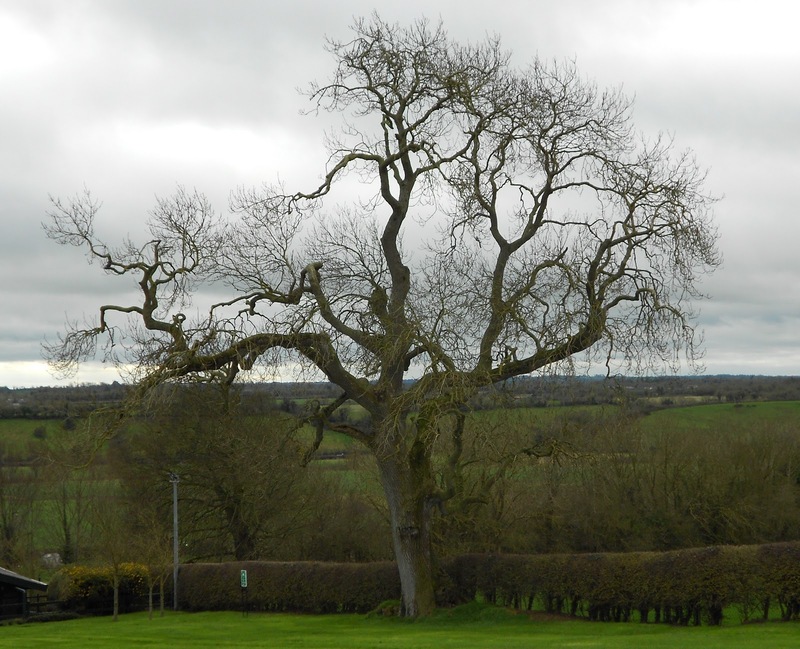 Much like the more famous temples of ancient Egypt and Britain’s own Stonehenge, there is continued fascination surrounding their positioning and enduring construction methods as well as the role that these monuments played in the life of Stone Age communities. 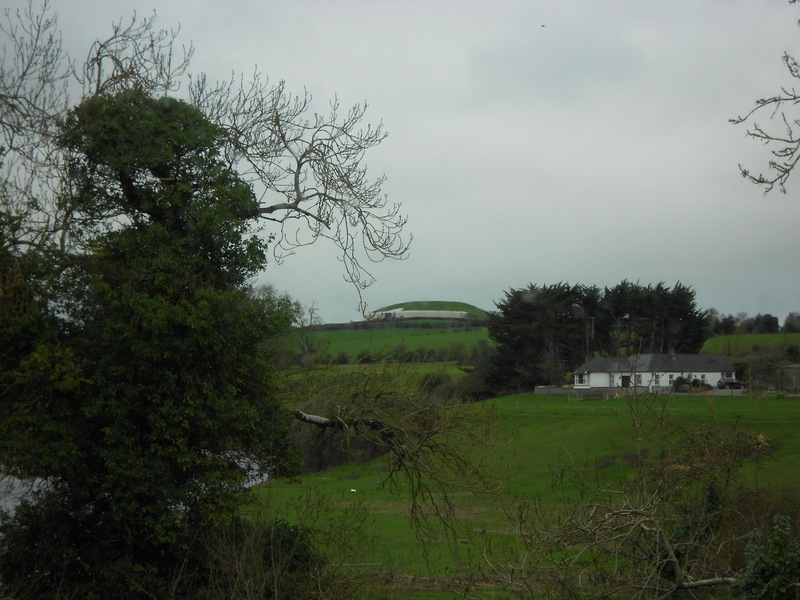 Evidence has been found of farming in the area as early as 3800 BC but it appears that the main construction of Newgrange commenced in 3300 BC. 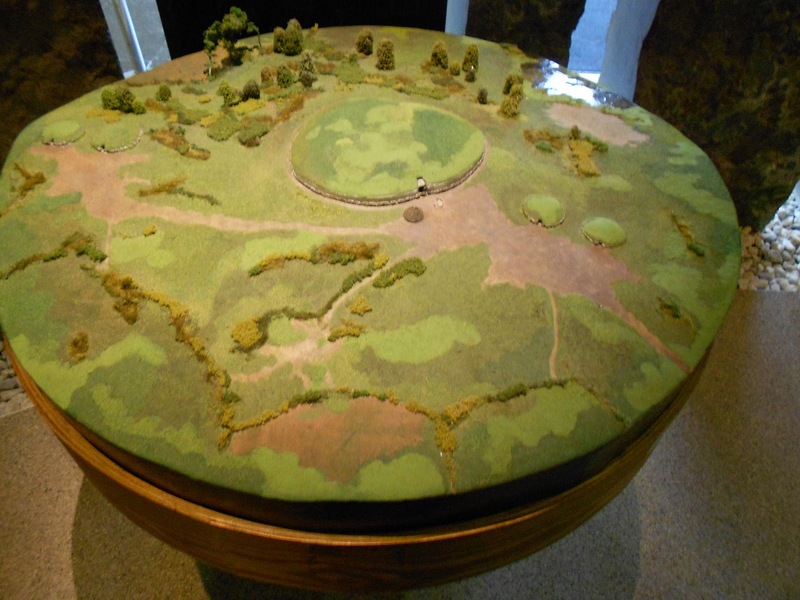 It is suggested that Newgrange was built to the shape of the ridge and the original ground plan laid out first with both the entrance stone and back stone placed along with the stone at the back of the main chamber as markers. 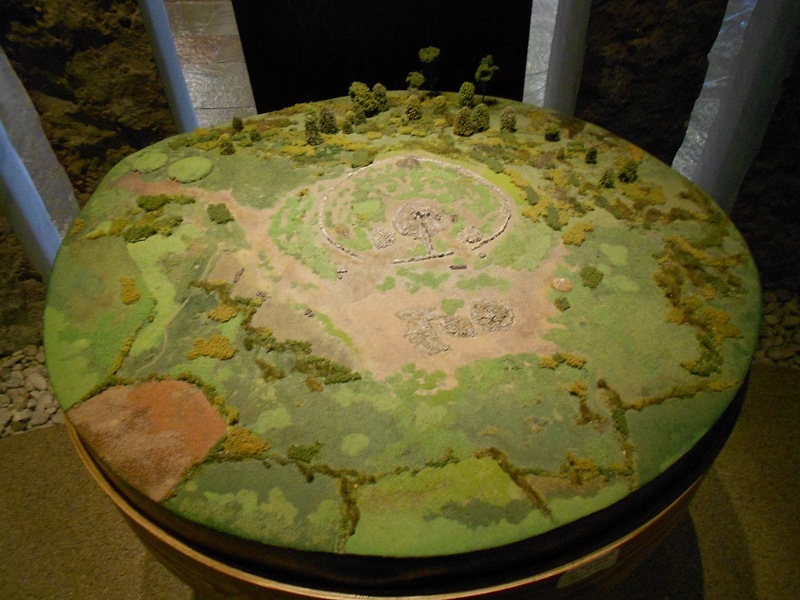 From about 3000 BC, Newgrange took its final shape. 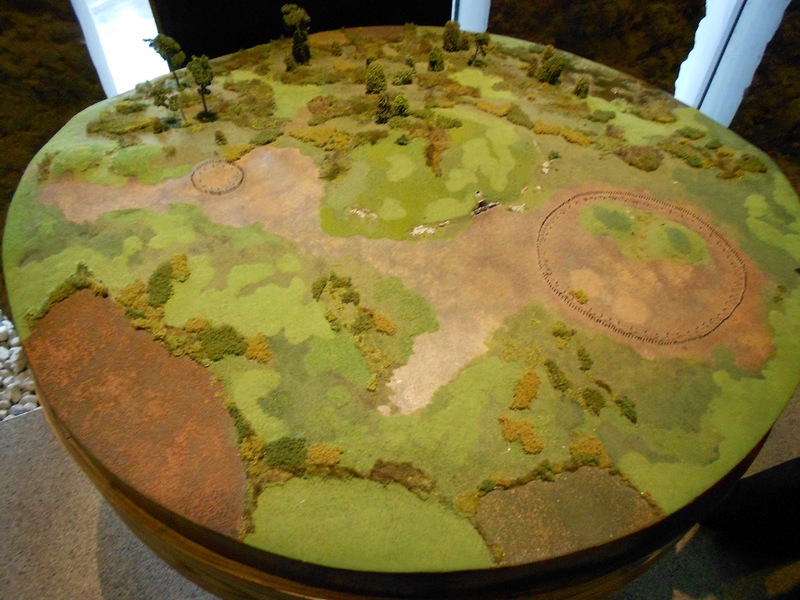 This model shows 4 smaller passage tombs built, some before and some afterwards, in line with Newgrange. 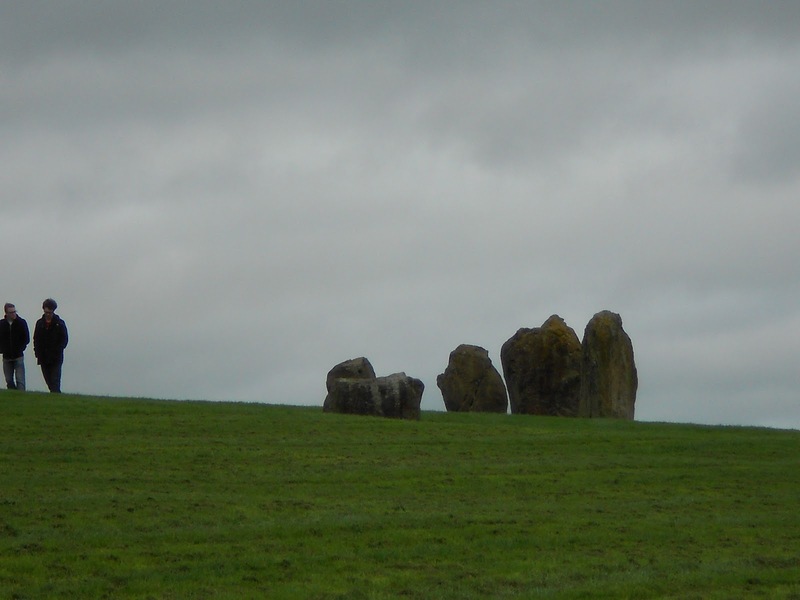 After the final blocking stone was placed, the focus moved to external monuments from 2800 BC for a period of 600 years. 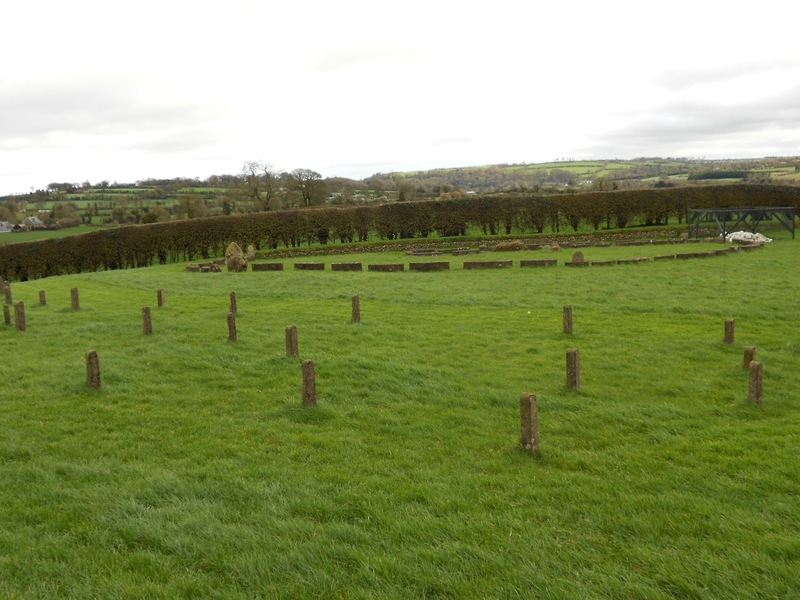 Newgrange is surrounded by stone markers, the significance of which remains a mystery. Going inside the tomb was completely amazing and included a short ‘re-enactment’ of the Solstice experience. To think that we stood under a 5,000 year old corbelled stone ceiling that no light or water has ever penetrated. Awe-inspring stuff. 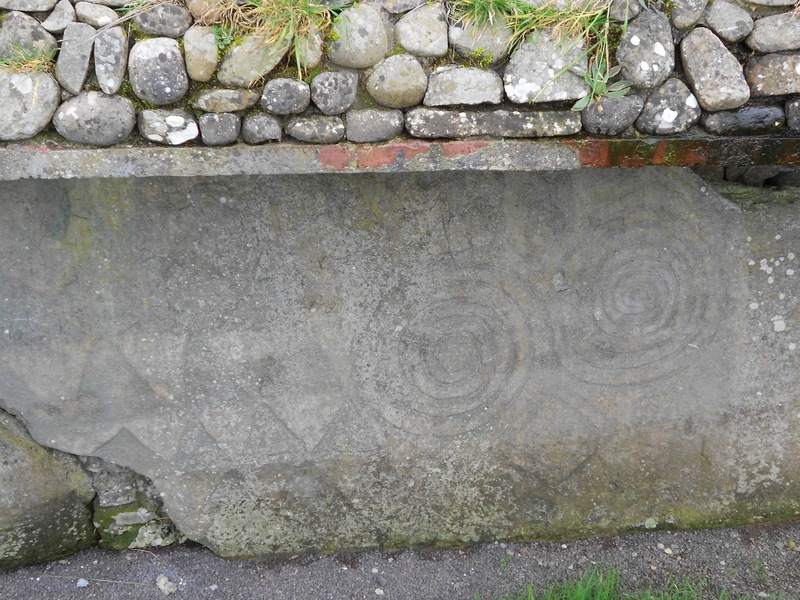 There are a number of highly decorated stones at Newgrange both inside and outside the monument. 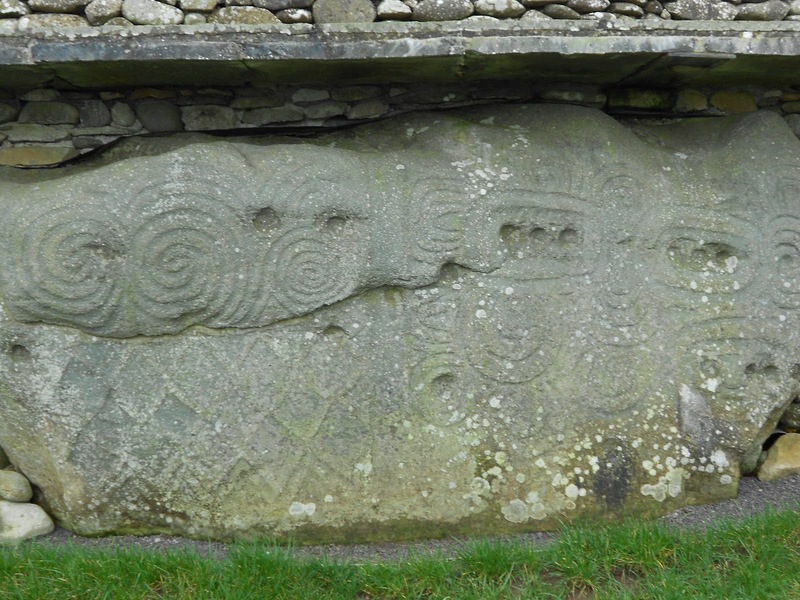 Many show the triple spiral which has featured in carvings as far back as those of the Australian Aborigines 40,000 years ago. 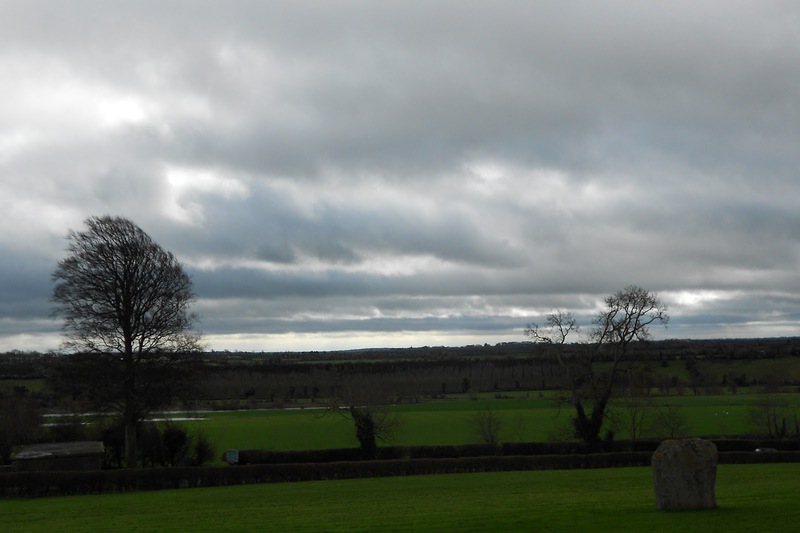 The views from the entrance of Newgrange across the Boyne Valley are spectacular. Most of our visit was beneath sunny blue skies but this moment of cloud gave it something of a portentous feel. These photos do not come close to doing it justice but how do you capture a sense of history and atmosphere like that? All I can say is that this was my trip highlight, my enchanted moment so to speak. In fact I was so inspired that I entered the lottery to attend this year’s Winter Solstice at Newgrange so keep your fingers crossed for me! Oh and I get to take ‘a friend’….any takers? 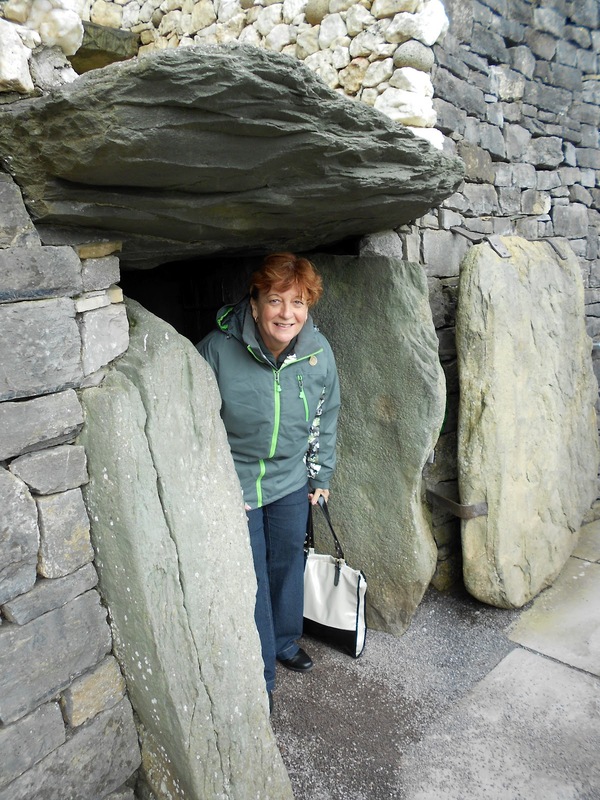 This entry was posted in A Traveller's Life, Armchair Tours, Australian Abroad, Expat moments, Inspired by and tagged Boyne Valley, Newgrange, passage tombs by Kym Hamer. Bookmark the permalink. My absolute pleasure. I'm so glad you enjoyed it. And welcome to Gidday from the UK. Thanks Alan. 'Clickety clicks sixty six' let's hope my number comes up. . . what a splendid and enchanting place – great post and much appreciated. Good luck with the 'Bingo'!